LAS VEGAS -- Artificial intelligence just may be the new battleground in the cloud. 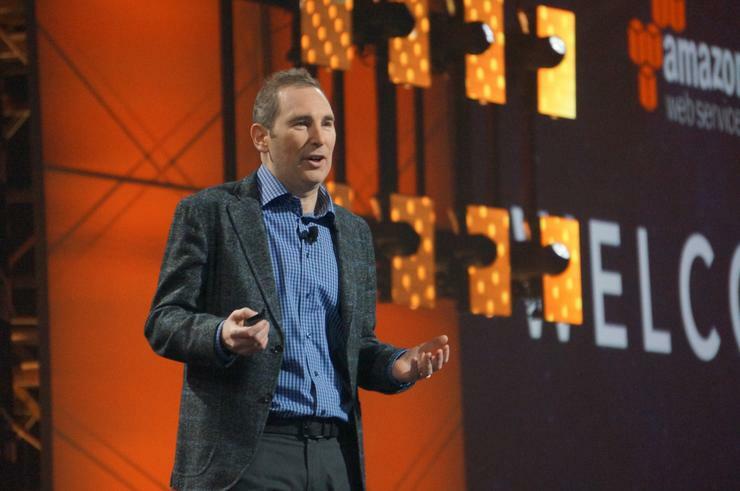 At its re:Invent conference today, Amazon Web Services CEO Andy Jassy announced three artificial intelligence (A.I.) services that will be available to enterprise users this year, with more expected in 2017. Now enterprise AWS customers can use A.I. to, for example, search for images that show a mountain next to a lake, or a city with specific architecture. With A.I. growing in interest and acceptance, more companies will be looking to use the technology to better compete. It could be an important offering for AWS, since cloud rivals like Microsoft, IBM and Google already have A.I. services. AWS is the dominant cloud vendor by far, according to analyst firm Gartner, which said Amazon is several times the size of the next 14 cloud providers combined. However, to hold onto that lead position, AWS needs to come out strong with artificial intelligence, and today's announcement is its first swing at this particular ball. "Jeff Bezos is convinced about the power of A.I. to help Amazon.com and AWS grow," said Jeff Kagan, an independent industry analyst. "I think we can expect to see more of these kinds of announcements from them in the near future. These are very important first steps for both AWS and for enterprise customers." Judith Hurwitz, an analyst with Hurwitz & Associates, isn't convinced about the important of A.I. services in the cloud at this point. "I am not sure that any of these [cloud] companies are doing anything truly meaningful with A.I.," she said. "There is increment tooling being added to Google, for example, but this isn't transformational yet. Microsoft is still quite early in its ability to use machine learning and A.I. in its solutions. IBM is probably further ahead with its Watson platform, but we are still early in adopting A.I. and machine learning." However, to Patrick Moorhead, an analyst with Moor Insights & Strategy, these are important first steps in the world of artificial intelligence. "Improvements to work with enterprise workloads are very important," he said. "Forward thinking enterprises are asking for these services. Insurance companies want these to categorize photos of accidents. Pizza chains want you to be able to order a pizza through your favorite messenger in plain language." Eventually, many large enterprises will want to build their own A.I. services, Moorhead said, but to start, they'd be wise to go with what AWS, IBM, Google or Microsoft give them. For AWS, it's about time the company got into the A.I. game, he added. "Amazon actually isn't ahead of their cloud competitors in this area," said Moorhead. "They're behind. Microsoft Azure has many more services available and has had them for a longer period of time."